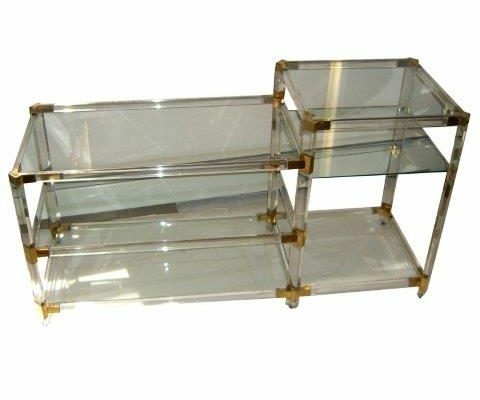 A very useful, yet unobtrusive console shelving unit. 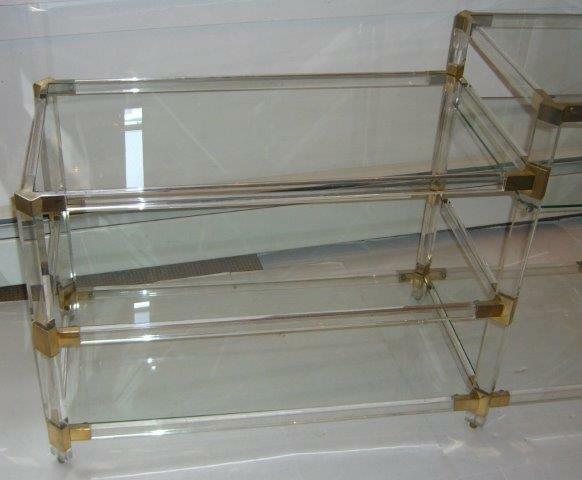 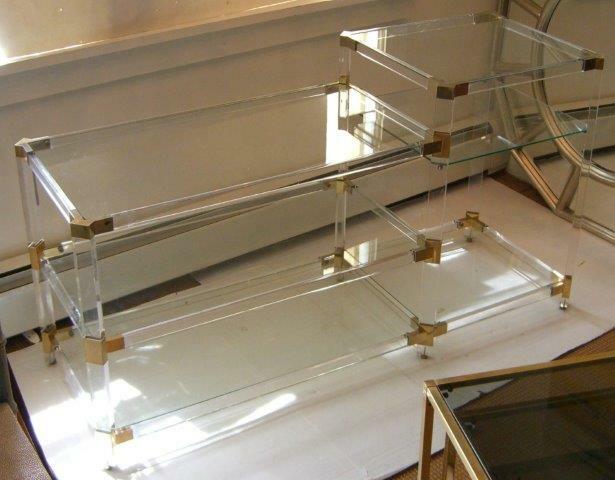 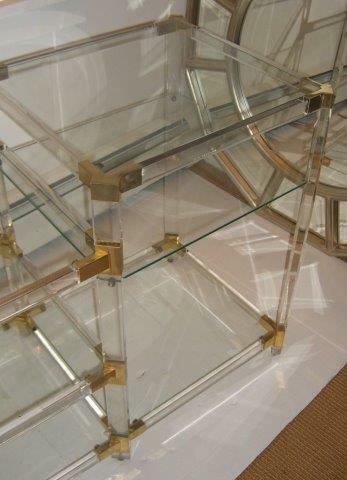 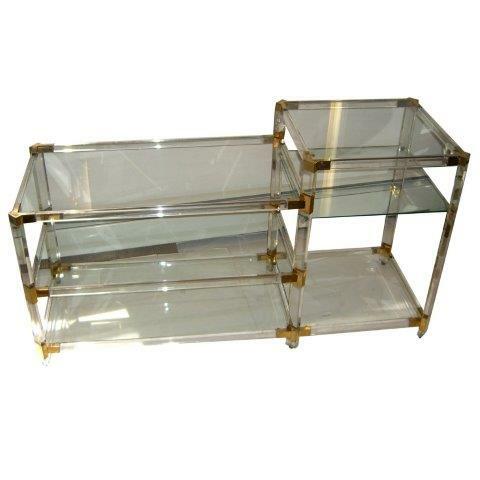 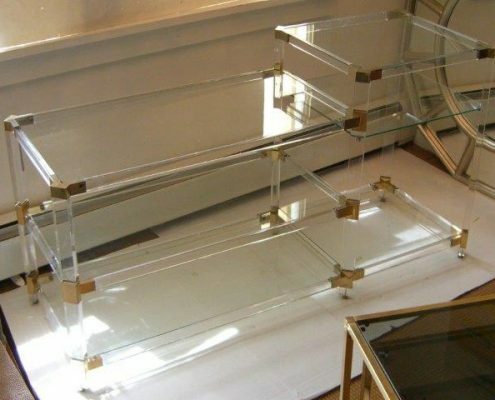 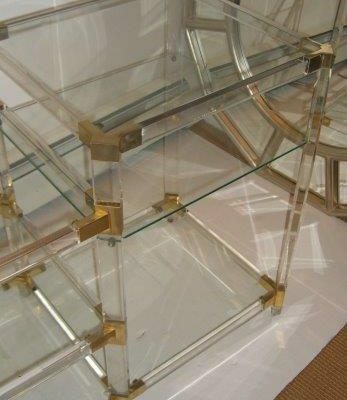 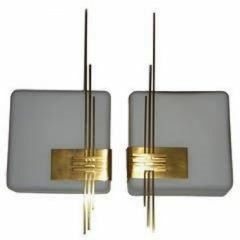 The frame is Lucite with brass plated corners, and the six shelves are glass. 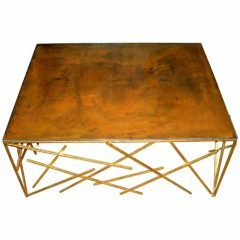 The entire piece rolls on brass rolling ball bearings.